Eva Marcille welcomes baby boy with fiance Michael Todd Sterling Jr.
Eva Marcille has welcomed her son! 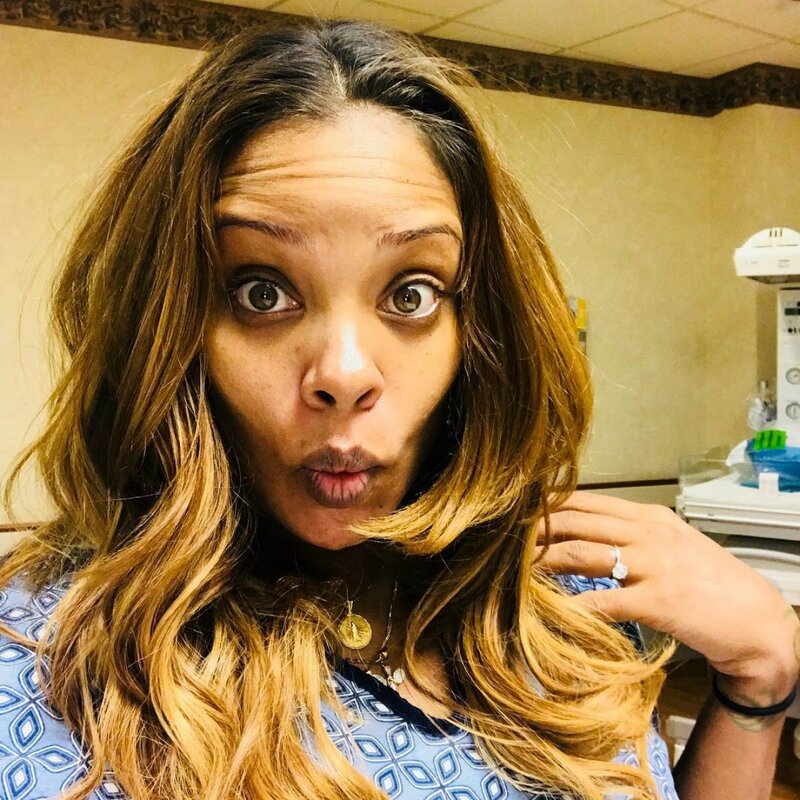 The Real Housewives of Atlanta star and former America's Next Top Model winner has welcomed a baby boy with fiance Michael Sterling. Eva, 33, shared a photo of her child's footprints on Saturday, which also featured the newborn's birth information. "All praises be to God!" Eva captioned the sweet picture. Eva and Michael's first child together, Michael Todd Sterling Jr. -- whom she's already nicknamed Mikey -- was born on April 13 at 5:59PM, weighing seven pounds and three ounces. He also measured 19.5 inches long. Eva also has a four-year-old daughter, Marley Rae, from her previous relationship with Kevin McCall, from whom she split in early 2015. The model and reality TV star began documenting her time in labor on April 12. Eva initially shared a selfie from inside her hospital room, writing, "So ready... The calm before the storm." And then on Friday morning, Eva captioned a photo of herself in bed, "Still at it?? Come on Mikey." Eva announced her pregnancy in November 2017. While having teatime with her daughter, Marley admitted she'd love to have a little brother. "I thought that was adorable, but at the time, I had no idea what I was having, so my fear [about] this extremely expressive and outgoing young girl [was] if this baby came out to be a little girl, that might not be a great situation for Marley," Eva previously told People with a laugh. Eva said at the time having a son is "terrifying" because Michael is "the most ambitious" person she's ever met and so little Mikey will have "so much to live up to." Eva and her lawyer fiance got engaged over the Christmas holiday. Eva won Season 3 of America's Next Top Model. She later joined The Real Housewives of Atlanta on Bravo for its tenth season.